The Global Plastic Crisis and Solutions and Proposals for Action. 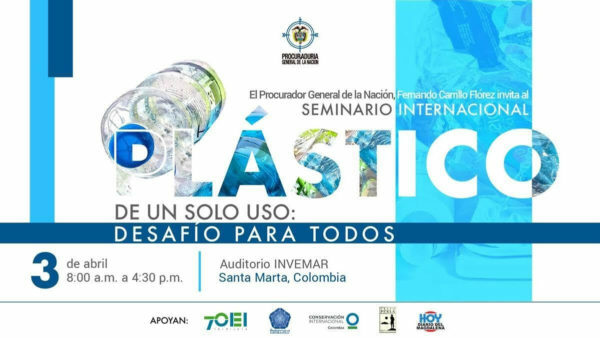 In attendance will be our Chief Global Evangelist – Craig Leeson, Executive Director Plastic Oceans Chile – Mark Minneboo, and Executive Director of Plastic Oceans Mexico – Mariana Soto. The event runs from 8:00 am to 4:30 pm at Auditorio Invermar, Santa Marta. Asistirán nuestro Jefe Evangelista Global Craig Leeson, el Director Ejecutivo de Plastic Oceans Chile Mark Minneboo, y la Directora Ejecutiva de Plastic Oceans México Marianna Soto.